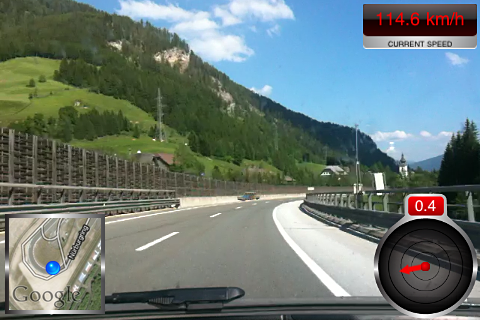 Action Camera - Cockpit Recorder HUD, simultaneously captures video, audio, G-forces, location data and speed. 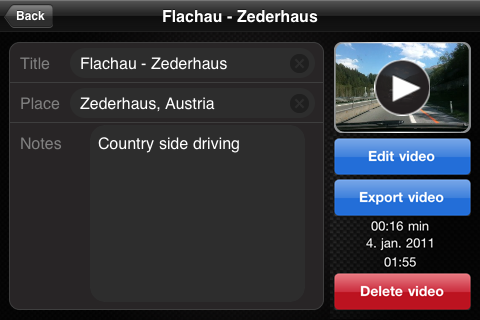 You can later play video with all recorded data embedded in video. Similar standalone devices cost more than $300. *Google Maps are currently not exported due to Google terms. - Fixed video library crash bug. Other Apps by SIS d.o.o.